A couple of months before Richard Gill died, he rang me in great excitement to tell me about a new school planned for Muswellbrook, to be built around his vision of a curriculum with music and physical education at its very heart. Details were still under wraps at this point but he was ecstatic about the project and asked if he could write about it for his October Limelight column rather than the subject we’d discussed. Naturally I said yes. A week or so later, he rang with more information and we agreed that he would write a follow-up to run in our November issue. He promptly delivered both columns. 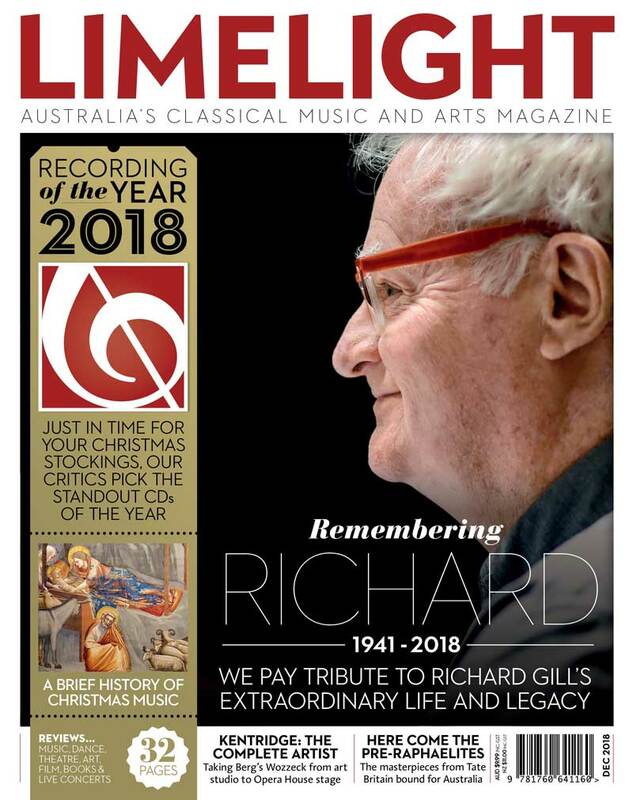 On October 28, Richard Gill died just as our November issue was reaching our subscribers. 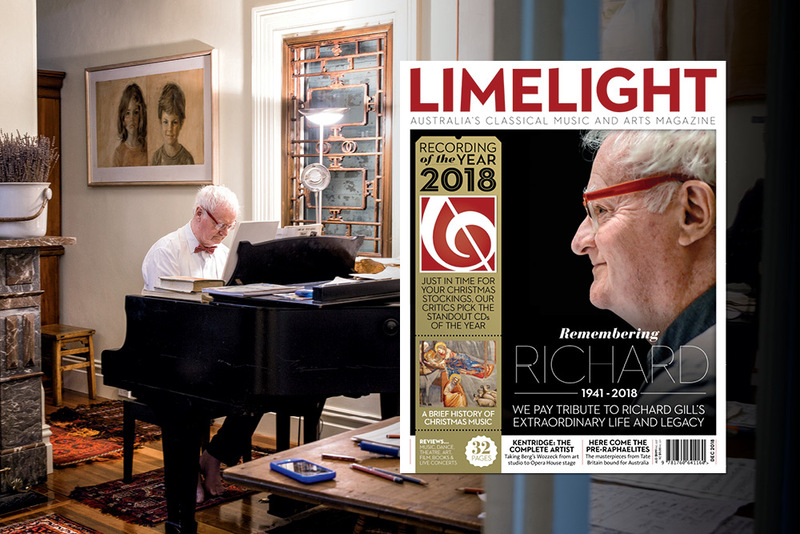 Though we knew he was extremely ill, it still came as a shock to all of us at Limelight, along with the Australian classical music community, and the broader public. This month’s Letters page gives you a taste of how cherished and respected he was. We immediately set out to redesign this issue around a fitting tribute to our beloved regular columnist and friend. We approached some of the many people he had worked with, taught and inspired for stories about him, and our Deputy Editor Angus McPherson set aside the feature he had been working on to focus instead on a piece to honour Richard. I admit I laughed and cried when I read it, as I did at the Richard Gill birthday concert at City Recital Hall. 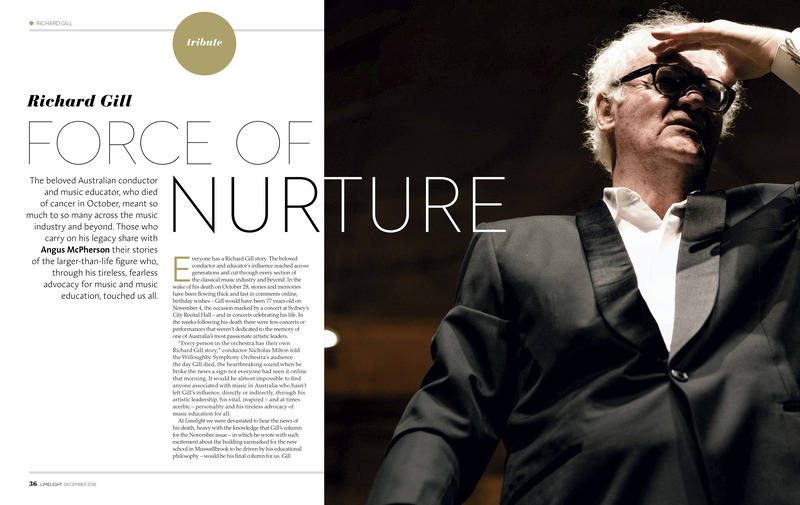 Although he won’t see the opening of the Richard Gill Music Academy, the school will stand as his great legacy. Australian music has lost its champion but Richard has no doubt inspired others to step forward and continue his fight for music and music education in our society. In 2014, Richard was Guest Editor of our December issue. He wrote then: “This Christmas, my dearest hope is that music will become part of the life of every child in Australia, a country where the gift of music has, for too many children, been absent.” On that note, we wish you all a happy Christmas and plenty of music in 2019. 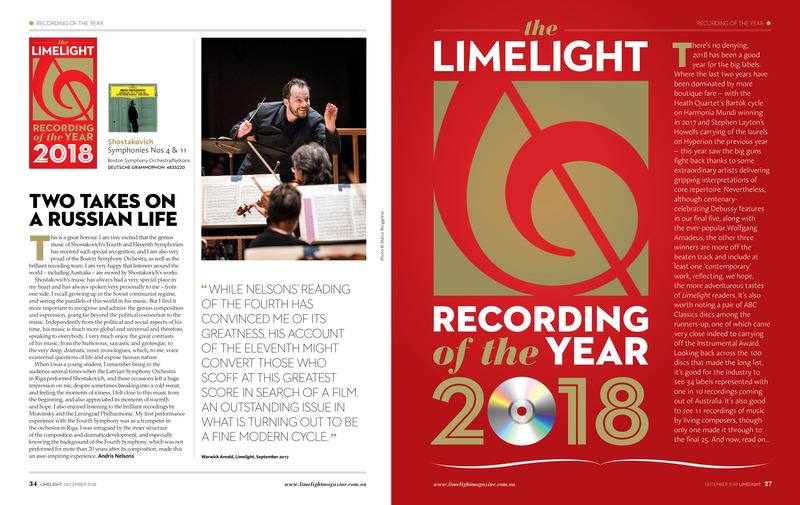 The December 2018 issue of Limelight Magazine is now available from from fine book stores as well as selected news agencies. Click here to find your nearest store. 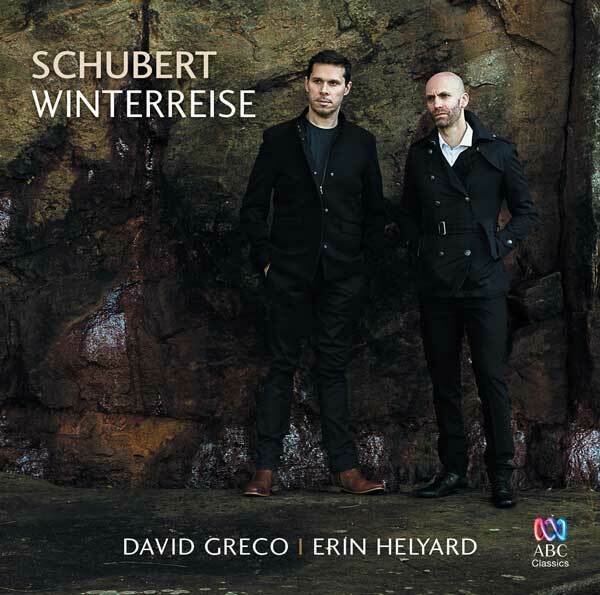 You can also purchase a copy through our online store. An online version of this magazine is available for subscribers only. Subscribe today for only $6 per month (Digital Only) to read the issue now. The beloved Australian conductor and music educator, who died of cancer in October, meant so much to so many across the music industry and beyond. Those who carry on his legacy – conductors, composers, musicians, administrators and media – share their stories of the larger-than-life figure who through his tireless, fearless advocacy for music and music education touched us all. Over the last 12 months, Limelight’s panel of critics has listened to nearly 300 recordings across a wide range of local and international labels. Finally after much discussion and voting, we can reveal the 25 discs that took our team by storm in 2018. But which will win the coveted title of Limelight Recording of the Year 2018? 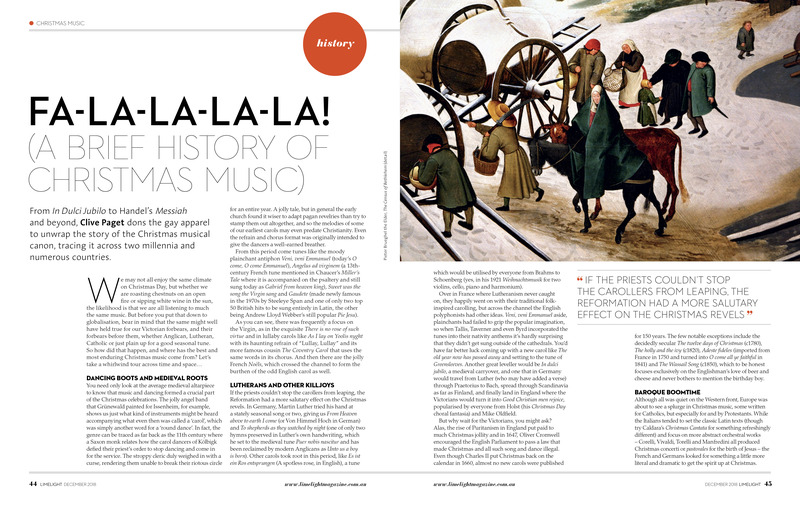 Clive Paget unwraps the story of the festive musical canon, tracing it across two millennia and numerous countries. 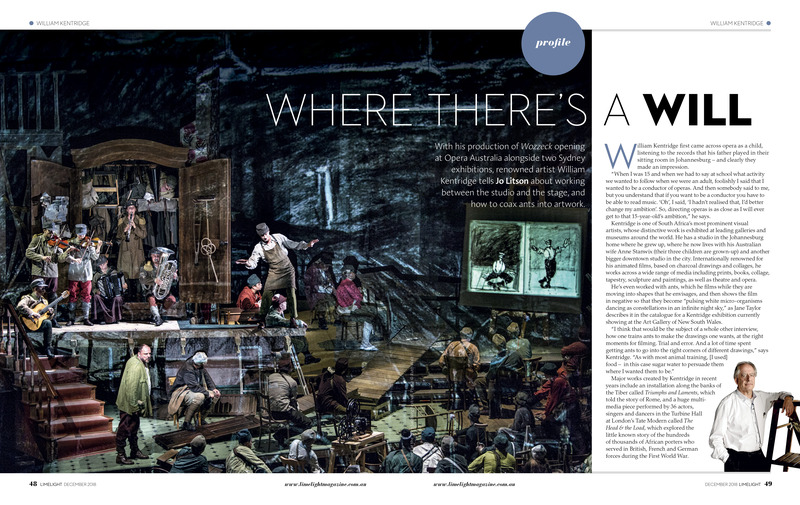 With an opera and two exhibitions in Sydney, artist William Kentridge discusses moving between the studio and the stage. 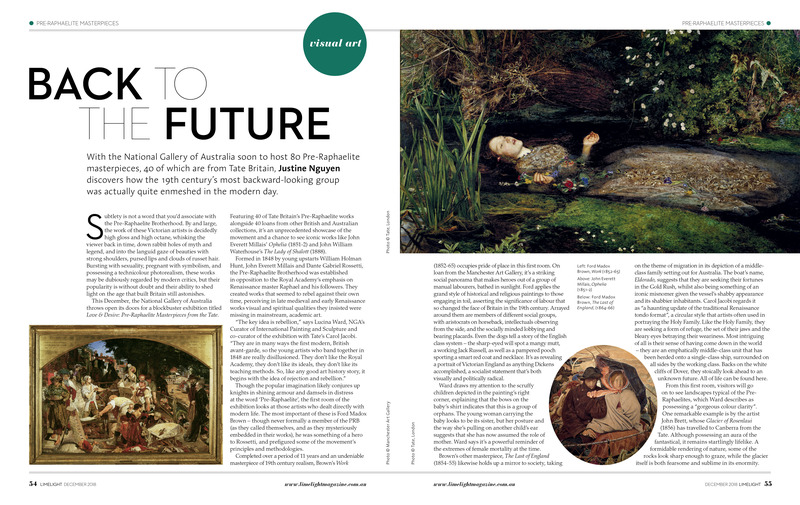 As the National Gallery of Australia hosts 80 Pre-Raphaelite masterpieces, we explore how modern the backward-looking group actually was. 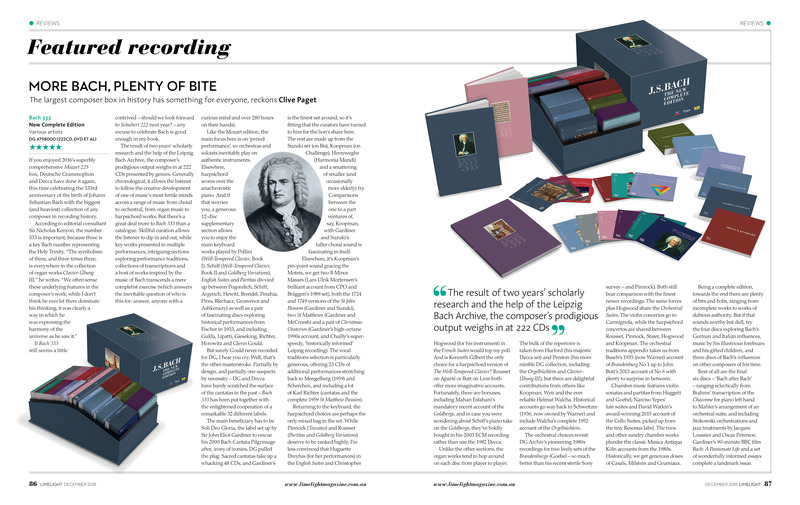 ★★★★★ The largest composer box in history has something for everyone, reckons Clive Paget. 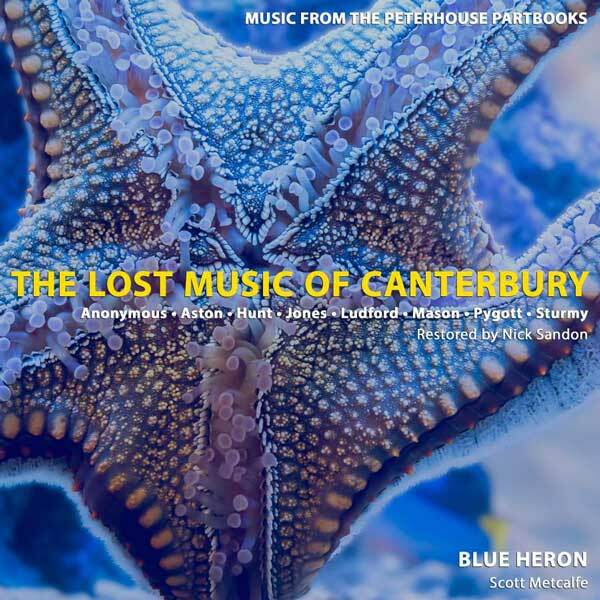 From Canterbury to Oxbridge via Boston with Blue Heron. 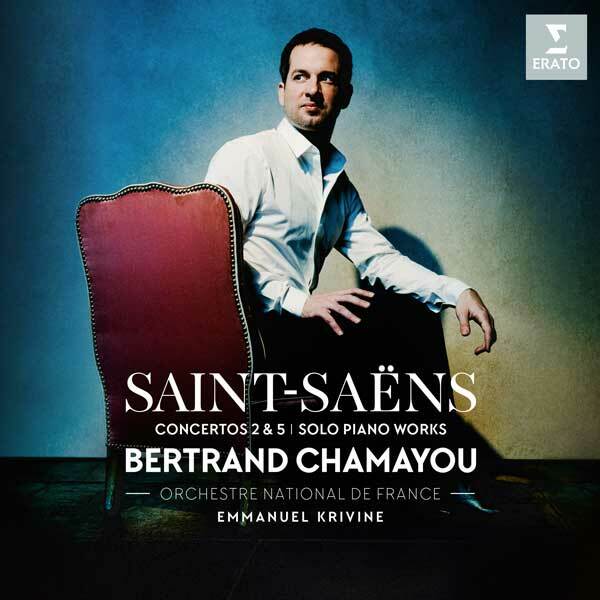 Bertrand Chamayou’s Saint-Saëns reassesses an old master. 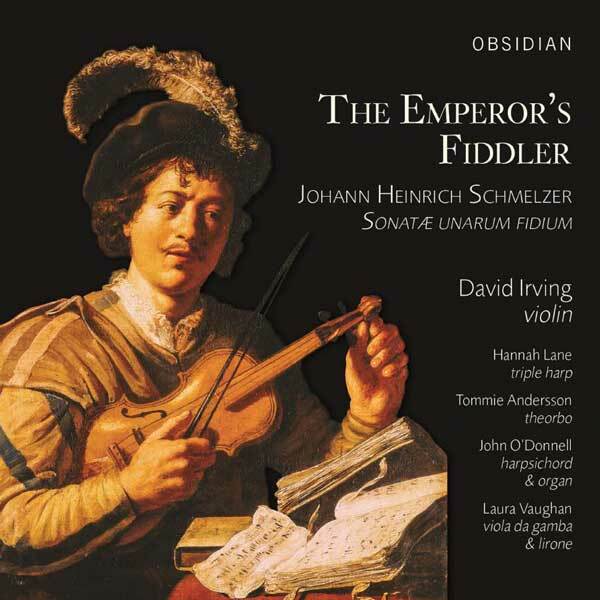 Irving decks the Emperor’s fiddler out in smart new clothes. 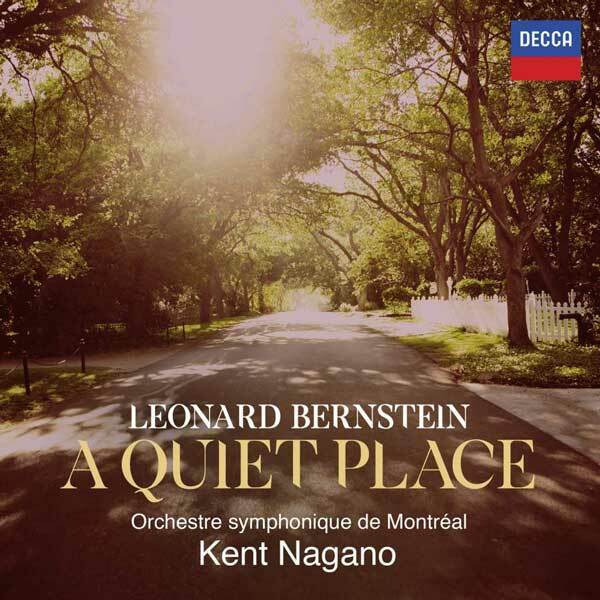 For Lenny’s ‘problem’ opera, might less be more? Did you hear about… the short and short-tempered Mahler? The classical crossover star talks about his latest recording, which sees him find a new singing style and duet with a childhood hero. 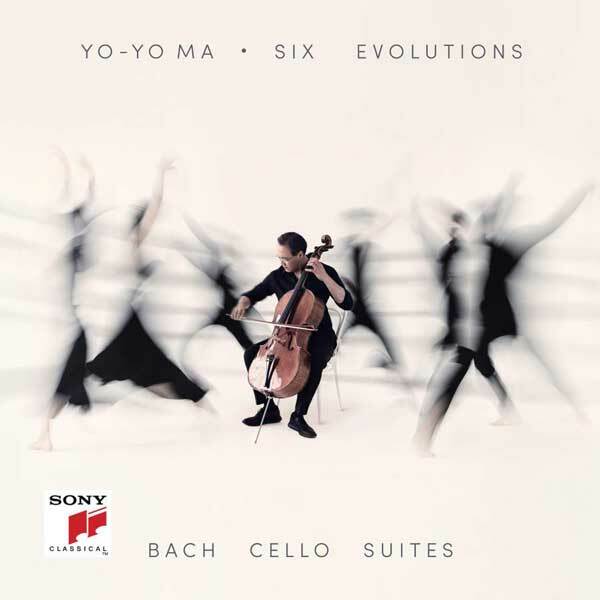 Greta Bradman's tribute to her homeland tops The Limelight Chart – our monthly list of Australia’s best-selling classical music albums.